I am a bit of a Cloud Nine evangelist. 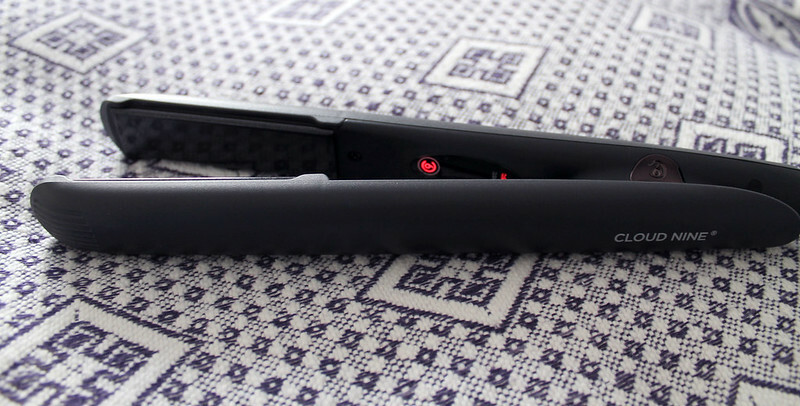 By that I mean that as soon as someone mentions being in the market for a new pair of straighteners I pounce on them and practically force them to purchase Cloud Nines because they are the best straightening irons ever made – full stop. I’m only half joking. You see, approximately six months ago I mourned the death of my third pair of GHDs in ten years, always just slightly outside of the warranty period and with some little electrical fault that meant that one day I had sleek, perfect hair, and the next day I had to go into work with some sort of half-cocked attempt at a hairstyle come bird’s nest that occurred when my GHDs fizzled out mid-straighten. Now, £120 is no joke to me so I thought I’d offer it up to the Twittersphere that I was in the market for some new straighteners and fancied some that came with a life expectancy beyond 25 months, and lo’ and behold became a collective voice that said ‘CLOUD NINE’. I bought their Original Irons (£129) and was instantly sold – the variable temperature control is amazing when you don’t necessarily want the full heat, and the irons glide through my hair, making it feel sleek and soft (no pull or drag like I’ve had with other irons). I’ve been using my Original Irons for months now and absolutely love them. 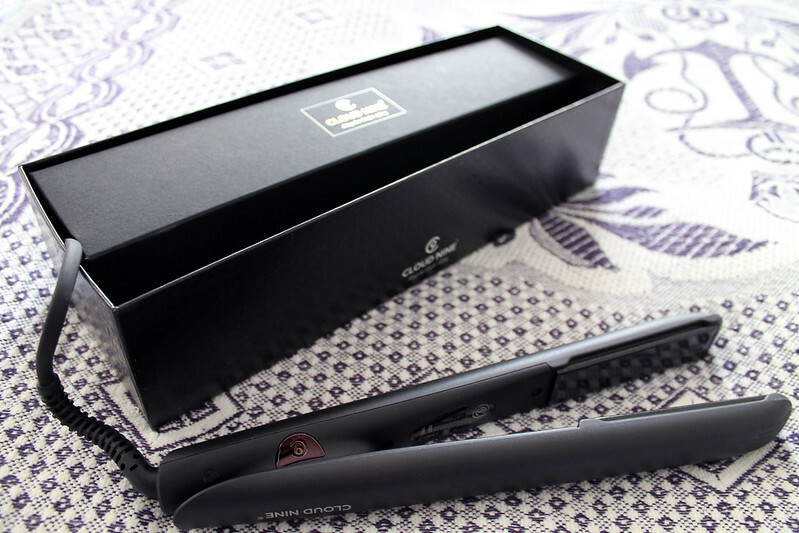 So when I was asked if I wanted to road test their new C9 Touch straightening irons – the first straighteners with no on/off switch that heat up as soon as you start using them, I jumped at the chance. 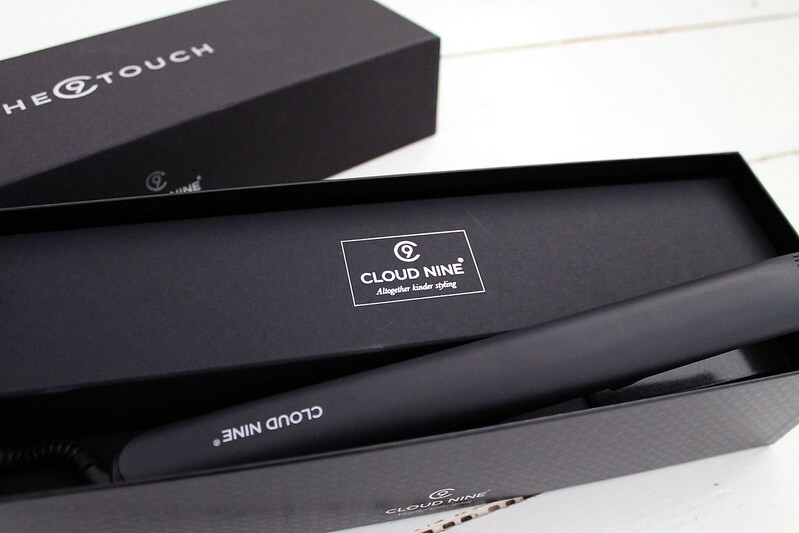 Overall I could not recommend the Cloud Nine C9 Touch Straighteners (£99*) any more – they are an amazing, innovative piece of technology, but more than that they are a blimmin’ brilliant pair of straighteners that will make your hair feel soft, smooth and sleek with less heat than other irons. The genius buttonless design has really won me over. Cloud Nine also have a great offer on at the moment where you get a free bottle of their Magical Quick Dry Potion when you buy a pair of straighteners. The Potion claims to protect your hair from heat by accelerating drying time, as well as protecting from heat and conditioning hair. Sounds pretty magical to me, I think one of those might have to sneak into my basket! 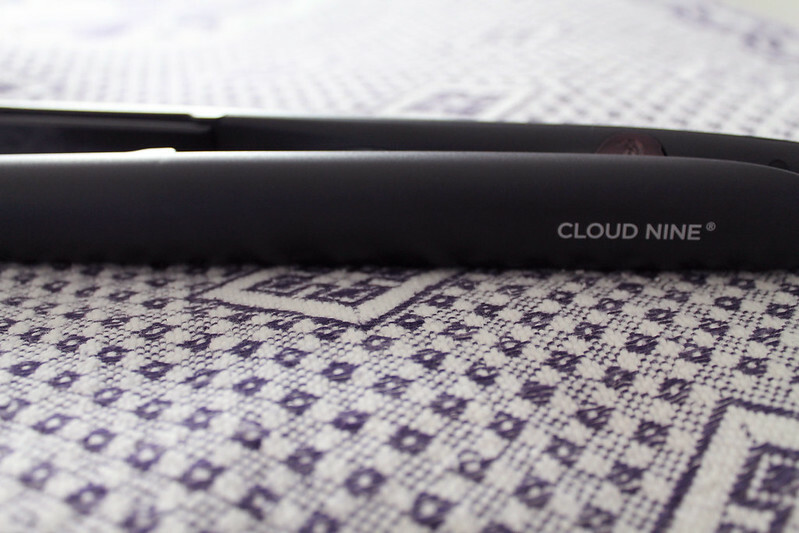 Have you tried Cloud Nine straighteners? You can see them in action in their YouTube video here.